Kristen Alexander was born and grew up in Orange, New South Wales, Australia. After time spent in Armidale and Sydney she moved to Canberra in the Australian Capital Territory in 1993 with her soon-to-become husband, David. Kristen is a former commonwealth public servant (personnel/salaries, human resource management, administrative law/freedom of information and project work). She left the service in 1996 after 12 years service and in 1997 she and David purchased a small suburban post office in Canberra which soon became Hughes Post Office and Secondhand Books. In 2004, Kristen and David opened Alexander Fax Booksellers, specialising in quality Australian second hand and selected new military books. She rarely sets foot in the shop, leaving that to David. She used to manage the inventory and produce regular mail order catalogues but has passed those responsibilities onto David as well. Kristen was been a member of the Military Historical Society of Australia 2001-2016 and was Federal Secretary from 2003–2011. She was also secretary and newsletter editor of the Society's ACT Branch 2002-2004. She was UK-based Battle of Britain Historical Society's Australian Representative in 2011. She is a member of the Civil Aviation Historical Society, a Friend of the Australian War Memorial, National Library and the RAAF Museum. She has a special fondness for the South Australian Aviation Museum which has accepted for its archive much of her research material. Kristen is an accomplished speaker and has presented aspects of her research to a number of groups including the ACT Branch of the Military Historical Society of Australia (and the Society's 2002 and 2004 biennial conferences), The Australian Aviation Club, Rotary groups, Probus, and the Australian War Memorial volunteers. 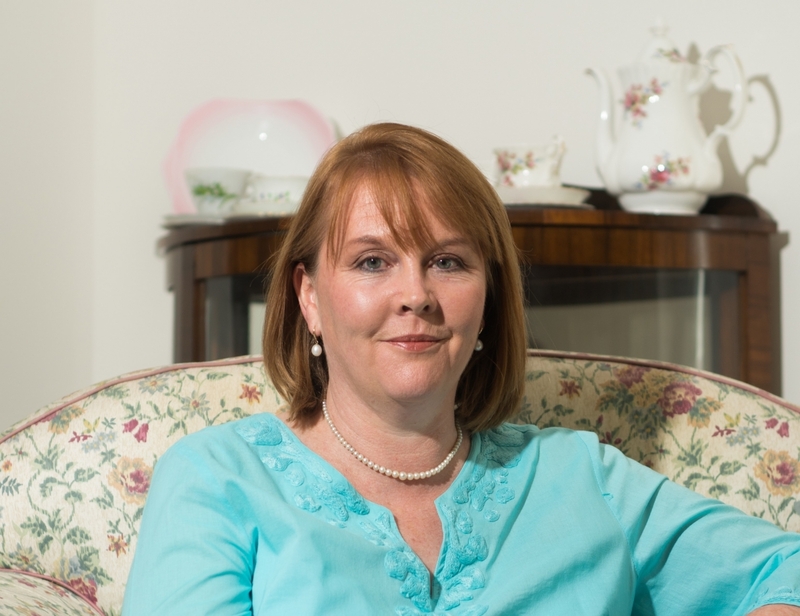 She was one of the speakers at the 2006 Canberra Readers & Writers Festival and most recently spoke on the Battle of Britain at the Naval, Military and Air Force Club South Australia. In early 2015 she presented a 'writing biography' workshop at the ACT Writers Centre and, in 2008 and 2012, was a judge in the non-fiction category of the ACT Writing and Publishing Awards. In June 2016 she was invited by the Royal Historical Society of Queensland to be the Clem Lack Orator for the 2016 Clem Lack Memorial Oration. Kristen has been researching and writing about Australian pilots since 2002, when Alexander Fax Booksellers purchased letters written by Clive Caldwell written shortly after his first aerial victories. She read the letters, thought there might be a book there and hasn’t stopped writing since. Allen & Unwin published Clive Caldwell Air Ace in 2006 and Jack Davenport Beaufighter Leader in 2009. Tsukumo published the Japanese edition of Clive Caldwell Air Ace in 2011. Barrallier Books published Australian Eagles, a collection of her biographical articles about six Australian Battle of Britain pilots, in July 2013. Jack Davenport Beaufighter Leader was included in the RAAF Chief of Air Force’s 2010 Reading List. Her essay entitled ‘Australian Knights of the Air and their Little Touches of Chivalry’ won the Military Historical Society of Australia’s 2012 Sabretache Writers’ Prize. It was published in the December 2012 issue of Sabretache, the Journal of the Military Historical Society of Australia. Her essay entitled ‘Miss Celia Macdonald of the Isles "who has been a particularly good friend"’ won the Military Historical Society of Australia’s 2013 Sabretache Writers’ Prize. It was published in the September 2013 issue of Sabretache, the Journal of the Military Historical Society of Australia. Her articles and book reviews have appeared in Sabretache, Aviation Heritage, the Journal of the Aviation Historical Society of Australia, Wings, Official Publication of the RAAFA, Britain at War and Flightpath. In November 2012, the National Library of Australia commissioned Kristen to write an account of the 1930s record-making pilot Lores Bonney, based on items held in the Library’s collection, as part of the Collection Highlights series. Taking Flight. Lores Bonney's Extraordinary Flying Career was published in March 2016. NewSouth Publishing, a division of the University of NSW Press, published Australia’s Few and the Battle of Britain in September 2014. Pen & Sword published the UK edition in April 2015. Australian Eagles was Highly Commended in the nonfiction category of the 2014 ACT Writing and Publishing Awards. Australia's Few and the Battle of Britain was included in the 2015 RAAF Chief of Air Force's Reading List and won the non-fiction category of the 2015 ACT Writing and Publishing Awards. Full details of Kristen's publications are in the Bibliography section of this website. Reviews of her works are in the Media section, and her book reviews are in the Review section. As well as writing books, her greatest intellectual challenges are the Canberra Times’s quick crossword and thinking of novel ways to convince David that he should do the cooking. She takes little time off from her research but when she does, she loves reading, watching old films, especially Cary Grant, Doris Day, Grace Kelly and Jimmy Stewart and of course the old musicals. She listens to 1940s swing and has a sweet tooth. She adores tea of most persuasions and passionately believes a good cuppa, served in fine china (of which she has a very good collection) will cure all ills. Her favourite meal, if you can call it that, is scones, jam and Darjeeling. Above all, she is potty about cats. She has been privileged to share her heart and home with many little friends over the years and her current BFF (besides David) is Millie, a lively green-eyed tabby. In early 2015, Kristen enrolled in the PhD program at UNSW Canberra. She will spend the next three years researching the experiences of Australians in Stalag Luft III. After that, she will draw on her thesis for her next book. She would welcome contact with Australian members of the extended SLIII 'family' who would be willing to share letters, diaries and other first hand accounts of Australian airmen kriegies.